Chicago’s Department of Public Health is widening its investigation of companies that emit toxic manganese dust on the city’s Southeast Side, the city announced Monday. The department began a study this spring to pinpoint industrial sources of manganese, a metal used in steelmaking that can affect brain and motor function at high exposures, and can even lead to neurological symptoms similar to Parkinson’s disease, according to the Environmental Protection Agency and other published research. Last summer, environmental regulators first detected potentially dangerous levels of manganese dust near S.H. Bell Co., one of a handful of bulk storage operators along the Calumet River. In a press release on Monday, the city said it will increase scrutiny of companies that handle manganese and evaluate options for penalizing those that violate local and federal standards. "Holding these companies accountable is about protecting the health of our children, our communities and our environment," said Mayor Rahm Emanuel in the press release. "Just as we held petcoke handlers to high standards, we will ensure that companies either clean up or shut down." In 2014, community members launched a series of protests over uncontrolled black dust from sites that store petroleum coke, or petcoke, which led to new city regulations requiring bulk storage facilities to minimize dust emissions. The city's announcement on Monday came minutes before the EPA published new air monitoring data showing that S.H. Bell is in violation of a federal threshold for determining manganese-related health risks. The manganese study, which is being conducted by a city consultant, will include modeling of particulate matter, soil and air sampling near homes in the area, along with an assessment of potential health risks to residents, according to the city. Particulate matter is defined by the EPA as a mixture of small particles and liquid droplets that if inhaled can have serious negative effects on the heart and lungs. As part of the study, the city will evaluate if increased dust control measures for bulk material handlers would lead to decreased manganese exposure for residents, according to the press release. The city said it will also begin increased inspections of S.H. Bell and other industrial sites on the Southeast Side. A CDPH spokesperson said the study is scheduled to be completed by the start of next year. The spokesperson declined to identify the consultant managing the investigation for the city. "Ensuring that residents are breathing clean air is our top priority," said Public Health Commissioner Julie Morita in the press release. "We are committed to completing a thorough and rigorous study so we are able to then make data-informed regulatory recommendations as needed." "S.H.Bell welcomes the broader study of manganese exposure announced today by the Chicago Public Health Department. We agree that we need a more comprehensive look at all companies in the area handling manganese, 27 that we know of, to fully evaluate the air quality in our community." 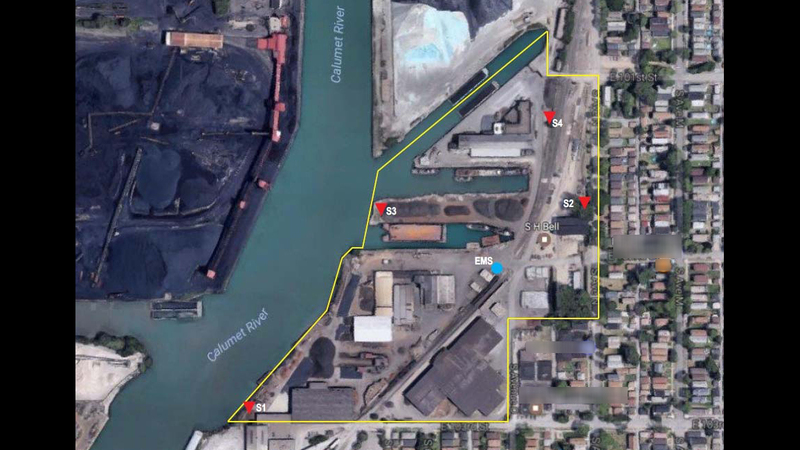 Since reports of elevated manganese levels became public earlier this year, environmental advocacy groups have demanded that Chicago ban the storage or handling of manganese in residential areas. About 20,000 residents, including more than 6,000 children, live within 1 mile of S.H. Bell in predominantly low-income and minority neighborhoods, according to EPA data. "The people of the Southeast Side have a long and proud history," said 10th Ward Ald. Susan Sadlowski Garza in the city's press release. "We will not allow any company, no matter how big, to put the health and safety of our community at risk. We will continue to work together, with city leaders and community activists, to ensure our air, water and soil are clean." This spring, Garza said she would wait until more data was collected before deciding whether to support an ordinance limiting or prohibiting manganese storage.